A convenient way to buy replacement parts for your Equal-i-zer® Brand Hitch. Don't stress over a lost pin or clip. 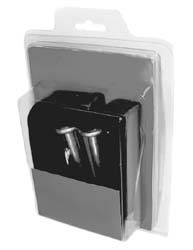 Keep these handy clamshell packages with extra pins and clips on hand just in case. Contains two L-pins w/ clips and two socket pins w/clips.